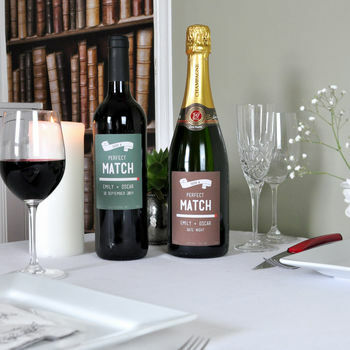 Two personalised bottles of your favourite wines and you're all set for a romantic night with this double gift pack of wines and Champagnes. A fantastic treat to set the scene for the perfect date night in. You've got the candles and are cooking up a storm, now you can have the perfect centrepiece with two personalised bottles of wine / champagne. 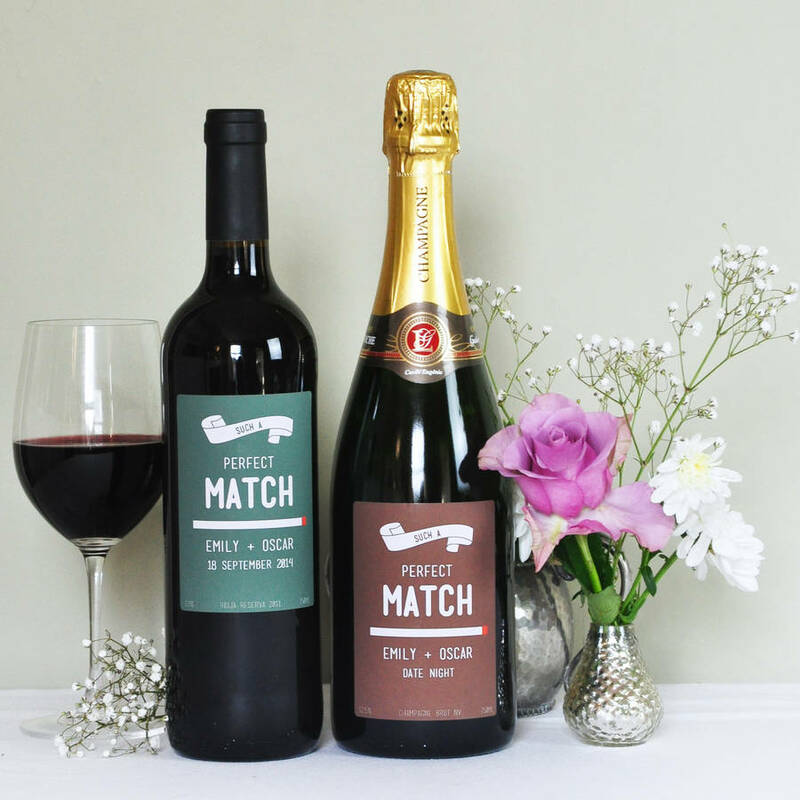 With these personalised wine labels you can choose between three design colours designs, and you can personalise each label individually with your names and date. For the wine itself you can choose from Champagne, Prosecco, Rioja, Sauvignon Blanc and Provence Rose. Why not choose a sparkling to start and a still wine to go with your meal. Choose the colour of the label you'd like for each bottle. 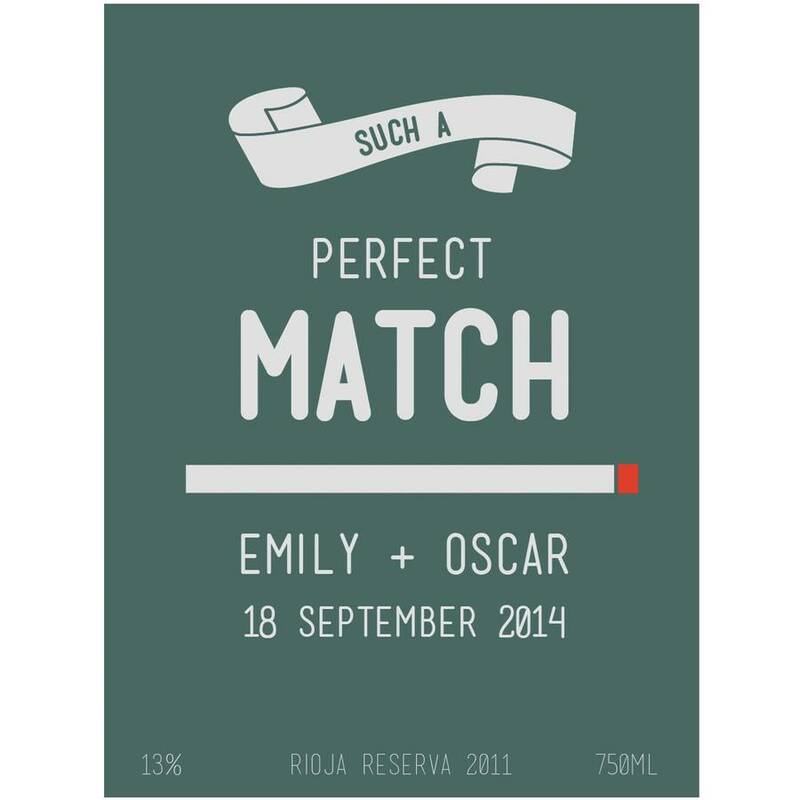 The label templates can be personalised, with your names, message, and date required. Champagne Brut NV: Made from Chardonnay, Pinot Noir, Pinot Meunier grapes. Suitable for vegetarians and vegans. This product contains sulphites. 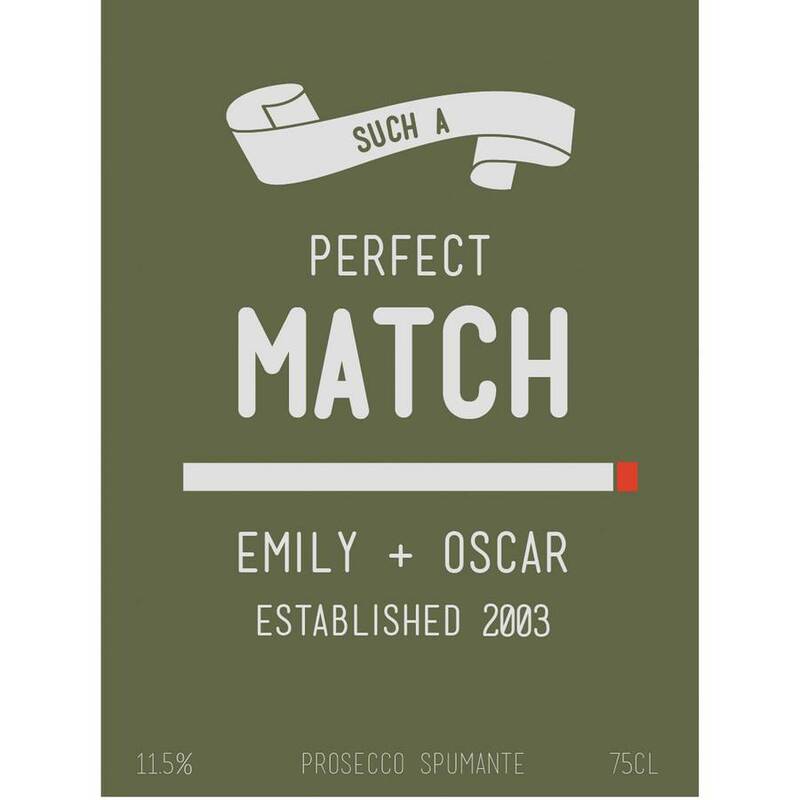 Prosecco Spumante NV: Made from Glera grapes. Suitable for vegetarians and vegans. This product contains sulphites. Rioja: Made from organically grownTempranillo grapes. This product contains sulphites. Sauvignon Blanc: Made from Sauvignon Blanc grapes. Suitable for vegetarians. This product contains sulphites. Provence Rosé: Made from Grenache, Syrah, Cinsault, Mourvedre grapes. This product contains sulphites. 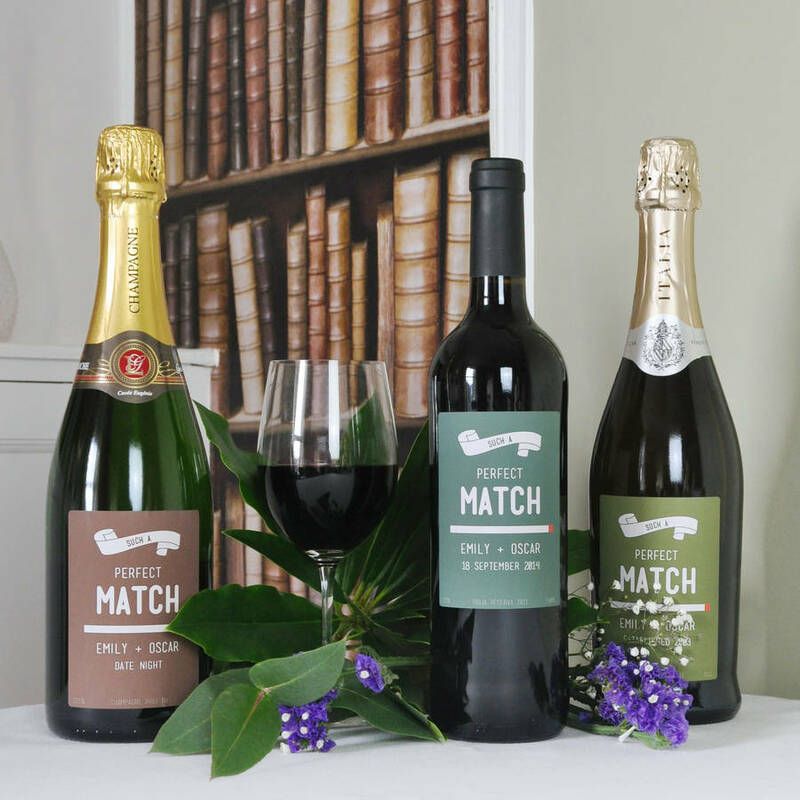 All wines are in a glass bottle and with a gloss label. 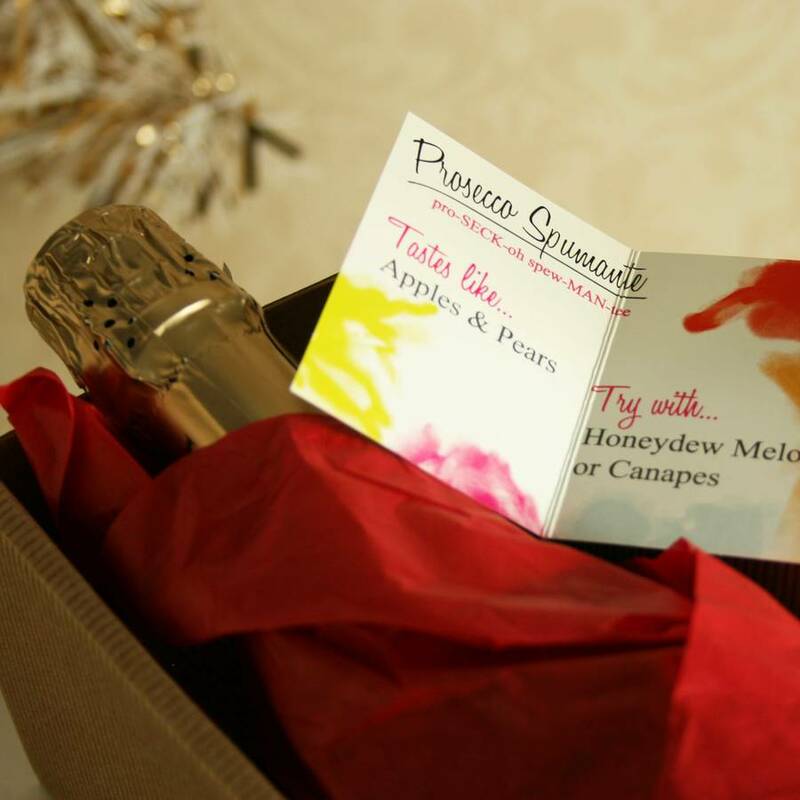 Our wine gifts come beautifully tissue wrapped and gift boxed with a small tasting note card.